Lawyers Collective (LC), an NGO representing interalia the interests on patients in pharma patent disputes has a good and objective update on the proceedings in the Novartis “Glivec” case. 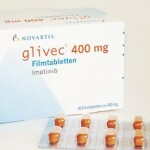 I say “objective”, since Lawyers Collective is an interested party in the Novartis proceedings and has opposed the grant of Novartis’ Glivec patent on behalf of the Cancer Patients Aid Association (CPAA). As many of our readers already know, this legal saga which sprung up with the grant of an EMR to Novartis in 2003 continues to be enmeshed in one legal proceeding after another. For a detailed description of this saga and how it implicates section 3(d) and the future of patent jurisprudence, see our article here (free download: click on the “download” tab right on top and then on the “SSRN New York USA tab” that opens up below it). The dispute is now before the IPAB (Intellectual Property Appellate Board) which will decide on whether or not the patent office was wrong in denying a patent for Novartis’ anti cancer drug, Glivec. As per LC’s report, the Supreme Court has now ordered that the proceedings before the IPAB be taken up on a daily basis (most likely to be taken up in the month of November). If the Supreme Court ruling is adhered to, we could expect a ruling from the IPAB early next year. SpicyIP is particularly fond of the LC website, as it hosts a variety of documents pertaining to the Novartis patent dispute, Needless to state, such information will help make the debates around these cases far more transparent and entail better public participation. Here is an encapsulation of the legal proceedings so far from Pratibha Siva of LC that did the rounds in several mailing lists relating to IP and Health. “As many of you may recall, patients’ groups won an important battle in the struggle for affordable medicines in August 2007, when the Madras High Court upheld the validity of a key public health safeguard—section 3(d) of India’s Patents Act, 1970. Section 3(d) prohibits patenting of new forms of known drugs unless there is a significant increase in efficacy. The challenge to section 3(d) was brought by Novartis AG, a multinational pharmaceutical company, after the Patent Office at Chennai rejected its patent application for the beta-crystalline form of imatinib mesylate (also known as *Gleevec*), a crucial anticancer drug. In January 2006, after hearing pre-grant oppositions filed by Cancer Patients Aid Association and several Indian generic pharmaceutical companies, the Patent Office rejected the patent application on several grounds including section 3(d). Applying section 3(d), the Patent Office held that the beta-crystalline form of imatinib mesylate for which Novartis sought a patent was a new form of imatinib—which was an already known substance—and that Novartis had not satisfied the Patent Office on the increase in efficacy. In response to the rejection, Novartis filed several cases against the Government of India, Cancer Patients Aid Association and the Indian generic pharmaceutical companies. The first set of cases challenged section 3(d). Novartis lost those cases in August 2007. The second set of cases challenged the Patent Office’s rejection of Novartis’ patent application for the beta-crystalline form of imatinib mesylate. 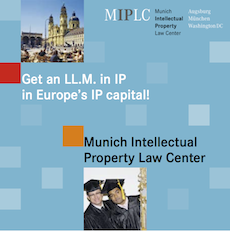 These cases will now come up for hearing before the Intellectual Property Appellate Board (IPAB). The IPAB is to comprise of two members: a judicial member and a technical member. Novartis’ appeals were held up due to procedural reasons since April 2007. Though Novartis had filed the appeals before the Madras High Court, the cases were transferred to the IPAB in April 2007 when the Government notified that the IPAB would hear appeals relating to patents. 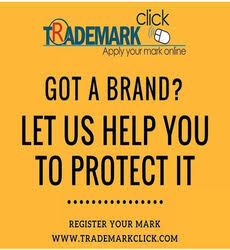 When the Government issued the notification in April 2007, it appointed Mr. Chandrashekar as the technical member to hear appeals relating to patents. However, when the hearings commenced before the IPAB in June 2007, Novartis objected to this appointment. Novartis’ objection was on the ground that as Mr. Chandrashekar had filed an affidavit on behalf of the Government in the appeals supporting the Patent Controller’s rejection of Novartis’ patent application, he had already formed a view on the merits of the case and therefore would be biased. The IPAB rejected Novartis’ plea on the ground that Mr. Chandrashekar was the only technical member who was competent to hear appeals relating to patents. Novartis then approached the Madras seeking the removal of Mr. Chandrasekhar from IPAB. The Madras High Court, pursuant to the suggestion of the Government, decided that a two-member bench consisting of the Chairman (Judicial Member) and Vice-Chairman could hear the appeals without a Technical Member. Natco Pharma Ltd, one of the generic companies involved in the litigation, approached the Supreme Court challenging the order of the Madras High Court. It contented that it would be difficult for the IPAB to arrive at a proper decision without a Technical Member because the matter was too technical and involved chemistry of complex compounds. At the commencement of proceedings before the Supreme Court of India, the court stayed the proceedings before IPAB until the matter was finally disposed of by it. This stay order brought the proceedings before the IPAB to a halt. After hearing both sides, the Supreme Court of India directed the Government to submit a list of qualified persons who could be appointed as a Technical Member for the purposes of hearing the appeals filed by Novartis. 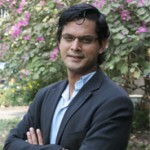 On 1 October 2008, the Supreme Court of India appointed Dr. P. C. Chakraborti, Deputy Controller of Patents and Designs, as an ad-hoc technical member on the IPAB, to hear Novartis’ appeals against the rejection of its patent application. The Supreme Court has directed the specially constituted IPAB to list the appeals on 3 November 2008. The order further directs hearing on a day-to-day basis, preferably in November 2008.